Library users are invited to record their thoughts on vintage typewriters now set up in Olin and Uris libraries. 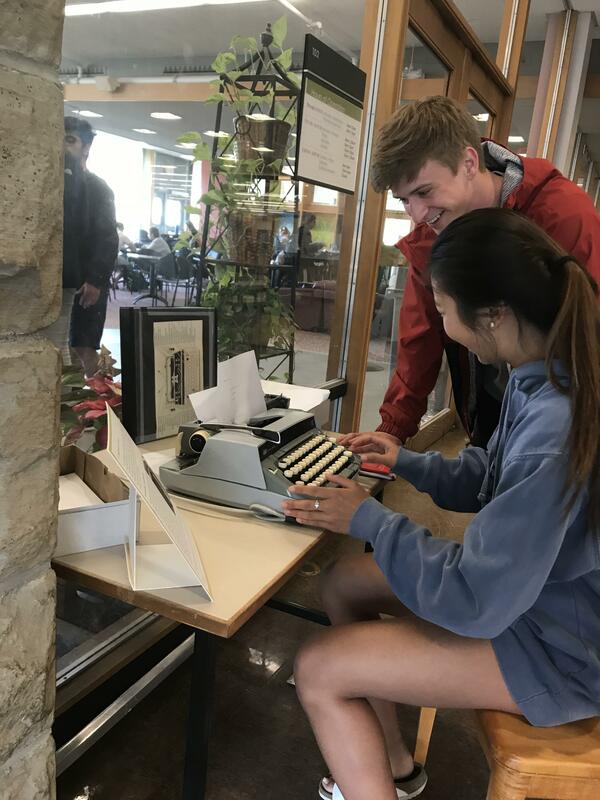 Inspired by "Notes from a Public Typewriter," the typewriters will allow Cornellians to connect with each other and the past. The 1915-25 L.C. Smith & Bros., owned by Mann Library, is in the Uris lobby and the 1973 Smith Corona, on loan from librarian Fred Muratori, is outside Libe Cafe in Olin. If someone has already typed on a page, users can leave some space and continue with their own narratives, adding pages as needed. The Library will archive these sheets of paper.